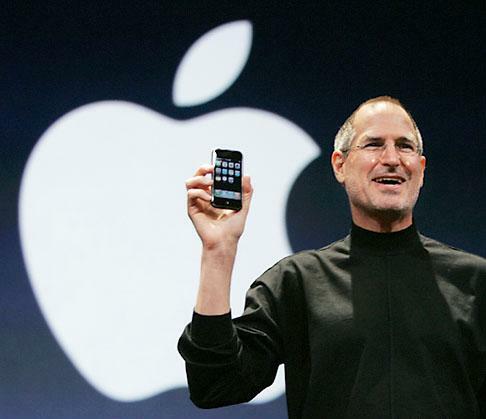 Although it wasn’t entirely unexpected, the world received news last week that Steve Jobs, co-founder of Apple, passed away at age 56 from cancer. 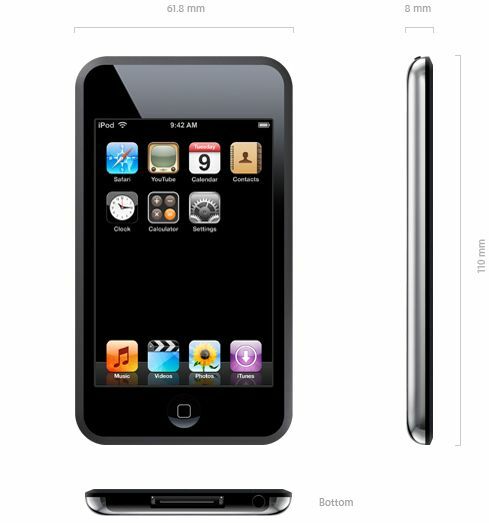 But I think it’s because of my “novice” self-image that Apple has always appealed to me. I remember buying my iMac back in 1998 and finding the owner’s manual consisted of a one page handout. Step 1: Plug in. Step 2: Turn on. Granted, it wasn’t quite as easy as that, but it wasn’t much harder either. You didn’t feel like you needed a computer science degree to get started, and the intuitive interface makes things easier for the beginner. 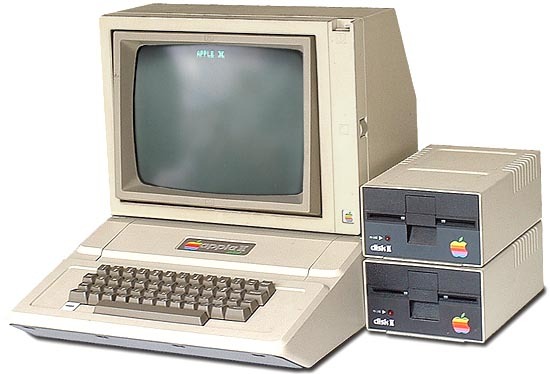 In Junior High, my friend Steve’s family got an Apple IIe. I remember countless times after school heading over there to play the original Mario Brothers (this was before they were Super Mario Brothers, I guess), Spy Hunter, and the most basic baseball game you’ve ever imagined. You could only choose between “home” and “visitor” but that didn’t stop Steve and me. We created entire baseball schedules on paper and meticulously played out entire seasons. This was fantasy baseball before fantasy sports existed. The soundtrack of Jr High was Crowded House, Thompson Twins, and New Order, mostly. 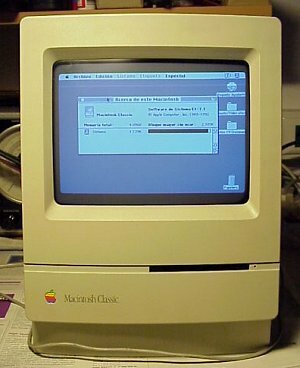 Then around 1992, when I was in grade 12 my brother and I finally convinced our Mom to get a Macintosh Classic. Black and white screen, dot matrix printer, no email or internet, and yet it got me through my entire undergrad program at the U of W, as hard as may sound today. I never had a problem with it, it always did what it was supposed to, and even though Apple looked like it was going to slip away into irrelevance in the mid-1990s, I just kept using my Mac until a time came when I couldn’t anymore. Macintosh Classic. Sometimes I still wish I had this computer. The emergence of the internet in the mid-1990s forced me into thinking about a new computer, and to rethink how I thought about computers. The iMac with its minimal user manual and no floppy drive came into our house in 1998, got me onto the internet for the first time, got me through my MA and MLIS degrees and moved with me into our new house in 2003, and finally was taken to the computer recycling depot about a month ago. In the meantime, I had a clam shaped iBook for a couple of years, and in 2008 when my wife was taking some university courses, we decided we needed a Macbook. Although our model recently became obsolete, like my Mac Classic, we will continue to use it until such time as we can’t. It continues to be our one and only computer in the house, and I’m typing this post up on it right now. If it's good enough for George and Jude, it's good enough for me. Looking back on it, I’ve always only owned Apple computers, although I’ve had to become reasonably proficient on Windows machines for work. I guess you could say I’ve mastered two completely different operating systems. Not bad for a clumsy novice. In the past week, I’ve seen Steve Jobs compared to Henry Ford and Thomas Edison. Both valid comparisons, I think. But for me, a better comparison is to Willy Wonka. 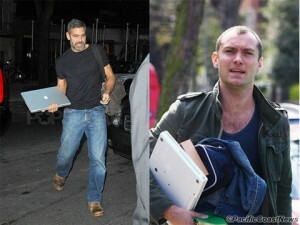 Aside from annual expos and product launches, we didn’t see a whole lot of Steve Jobs. I never really felt like I knew the man. Steve created these products that us as loyal followers couldn’t get enough, but we didn’t really know the process. I’m not sure how much Steve really knew either. 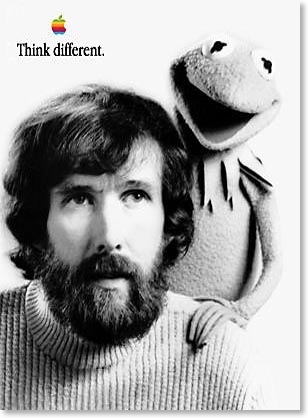 He seemed to me to be the “idea” guy, pushing his engineers to new heights and new directions to make something none of us had seen before. I read a quote this week that said in the 1980’s if you asked someone what they wanted, they would probably have said a faster MS-DOS machine. It took someone like Steve Jobs to show us what could be possible, and he was just as excited as the rest of us as to the possibilities. Thanks Steve for reminding us how to think different.